Handpicked Wines, is a limited company, registred in Sweden, and fully licensed to import distribute and sell, wines and spirits, to both Systembolaget (government controlled monopoly stores for wine and spirits) and the HORECA. 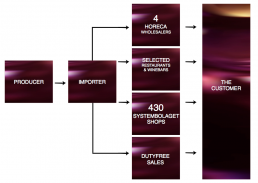 Handpicked Wines, are the product owner, and hold stocks for the Swedish market. Handpicked Wines was established 2005 by Måns and Margareta Lundeberg and is today a well established wine importer in Sweden. With a good reputation Måns and Margareta has management experience from large international companies. 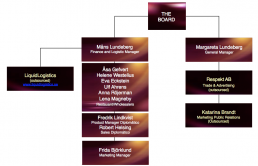 Both in leading general management positions in the Nordic region. The team is also highly qualified in product expertise. The company strategy is to import exciting quality wines of both old and new world and to cover both Systembolaget as well as the HORECA and wholesalers with own sales representatives. We work with Liquid Logistics in Sweden, as a service provider for primary logistics, warehousing, and secondary distribution to wholesalers and Systembolaget stores. We find it extraordinary intresting to work with small and medium sized producers that are unique and special for the Swedish market. Importer and supplier of innovative and quality wines from both old and new world. Winning tenders by proactive initatives. – Low cost route to market. Import licence for wine and spirits. Cost effective warehousing and distribution. Very good colloboration with all Wholesalers in Sweden. – Experienced and knowledgeable team. Team respected and known by the trade and producers as well as press. – Focus on the unique products and fine wines. – Three important factors when selecting wines are quality, presentation and good working relationship with the producer. – Marketing and advertising through selected magazines/newpaper and journalists. – Active in social media. HORECA is an important channel, both for selling and brand positioning. A tailor-made exciting portfolio is constantly being updated and developed, both old, and new word. A dedicated on trade sales force. Active in trade calls, events and tastings. A unique wine and spirits expertise. Focusing on selected restaurants & winebars in Sweden. Very good collaboration with top wholesalers. Activities and campaigns with wholesalers. we are always both happy and ready to serve you. Welcome to contact our CEO Margareta Lundeberg at margareta@handpicked.se or +46 70 666 92 98. You can find all company contact information at the bottom of this page.